I took the plunge into remote nirvana a couple of years age. Since that time I had almost completely forgot how complicated watching a DVD could be. This universal remote is amazing but when it stopped working I resorted to the walking over to the TV method in lue of having to reprogram the old remotes. Before my remote stopped working I noticed I would have to push a button a few times before it would actually send the signal. Soon it no longer would send any signal at all. 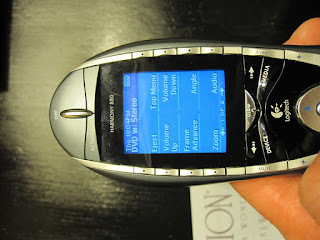 The send signal on the remote would show the button was being pressed but nothing would actual happen. 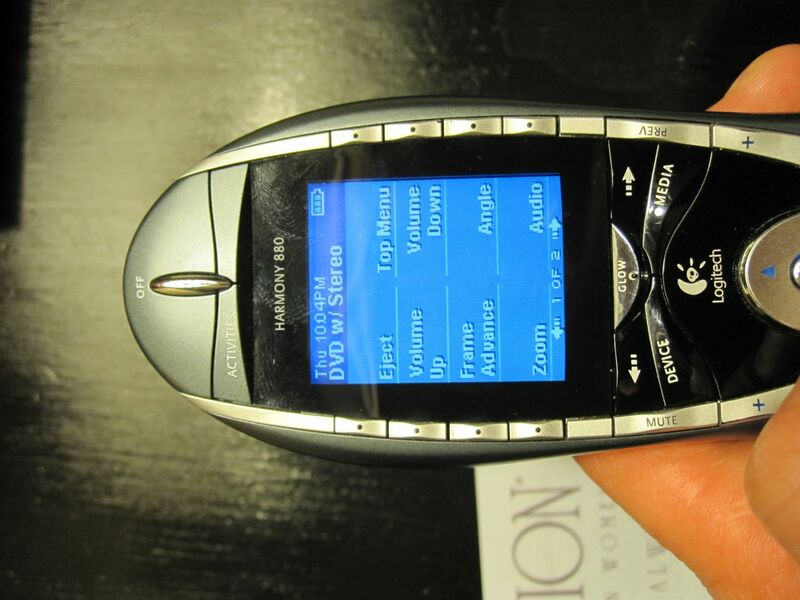 Luckily there is an easy fix for the Harmony 880. Please use these instruction at your own risk. 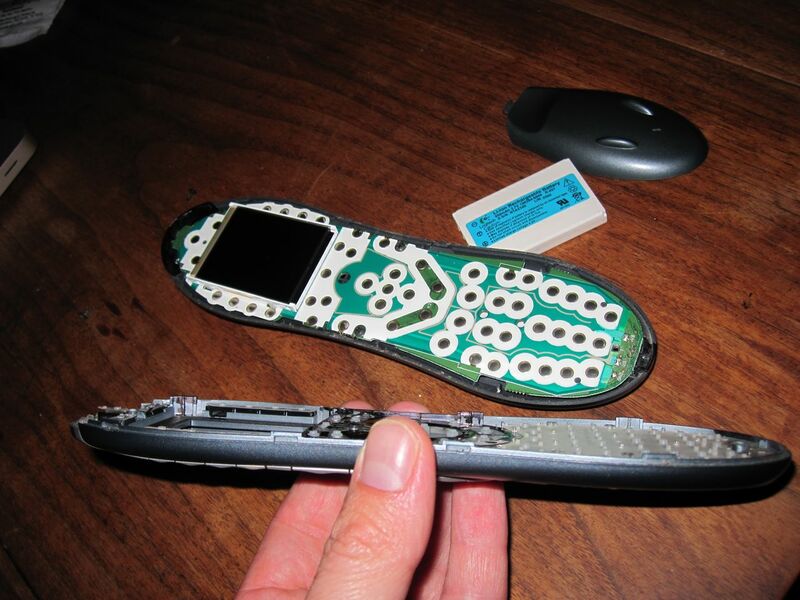 This may or may not be the issue with your remote. I can't be responsible for you breaking your remote how ever terrible my instructions may be. The Infrared LEDs are an apparent weak stop of this remote and may burn out over time. 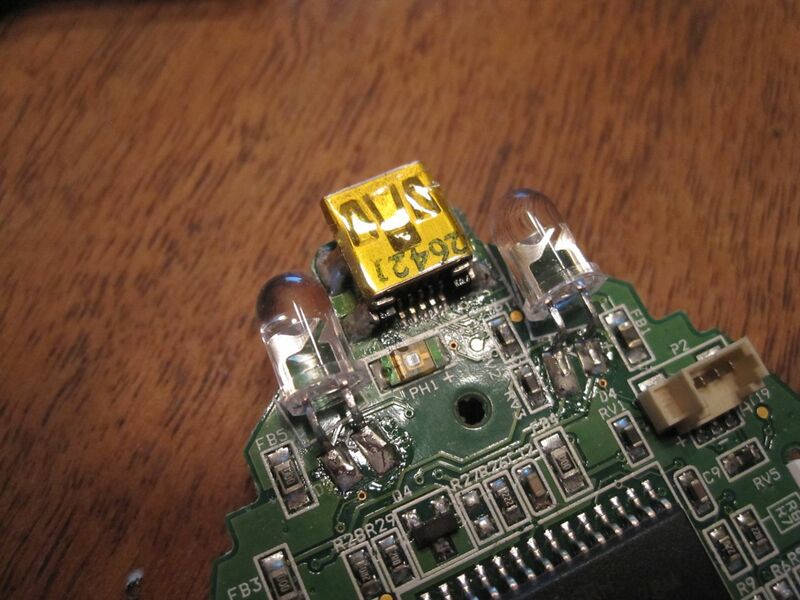 Luckily Replacement IR LED are available at most local RadioShack stores for a quick repair. 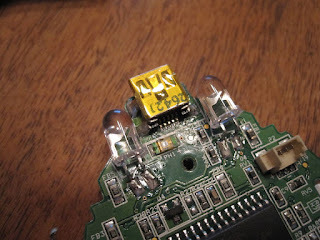 2 Model: 276-143 IR leds and a small philips and small flat head screwdrivers plus a little soldering knowledge is all it takes for this repair. 2. 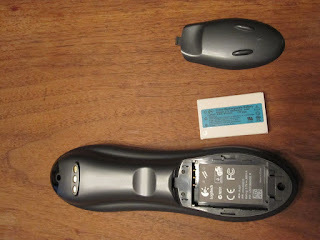 Remove the two small philips screws on the back of the remote. 3. Using a small flat headed screwdriver carefully pry apart the upper and lower casings. There are four tabs total that need to be pried apart. Please do this as gently as possible since braking a tab could render your remote useless. 4. Remove the two screws holding the circuit board down. Pull up the circuit board just enough to remove the battery connector underneath the board. No you can see the two IR LEDs on either side of the mini usb connector. 5. Since LEDs have a positive and a negative side, before you unsolder the LED please make a note / drawing of the led. 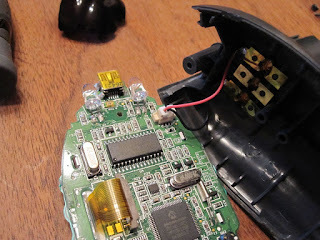 The little metal pieces (electrodes) inside the LED should match up with the new ones once they are installed. Luckily if you've already unsoldered them before reading this there is a + marking on the board. In this case the new LED's positive side is indicated by the longer lead on the LED so you can match them up. 6. Remove the LEDs. The LEDs are surface mounted and should come out quite easily when heated with the soldering iron. Just unsolder one lead at a time. 7.You will need to bend & trim the new led's to match the old ones. The easiest way to do this is with a needle nose pliers. They do not have to be bent perfectly to fit in the case but they should be close. 8. Solder the new LEDs to the board. 9. Reverse the disassemble instructions. Now the moment of truth. Test it out. This repair worked for me and I hope it saves you the $200 cost of a new remote. Works as advertised, thank you! !